You might recognize these blush sneakers from Instagram last week, but I was so excited about them I had to share them! I don't have the best sneaker collection, but I am officially stepping up my sneaker game! 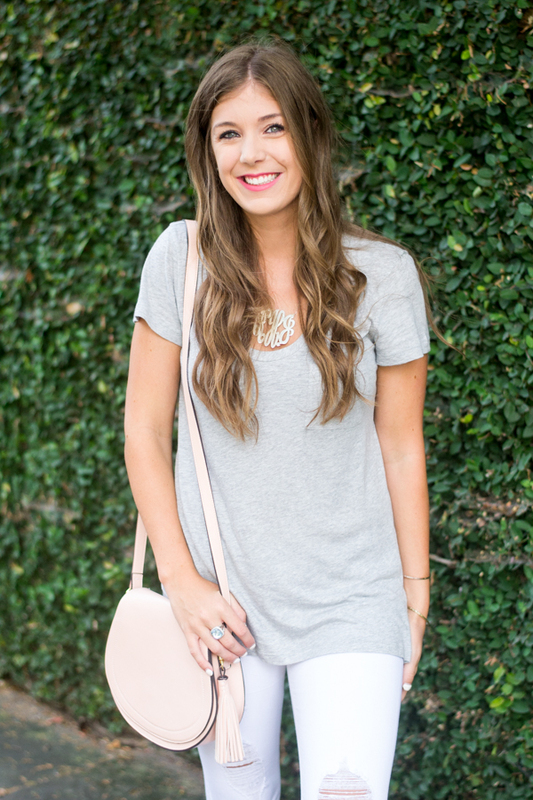 These blush beauties are under $35 and they also come in grey! 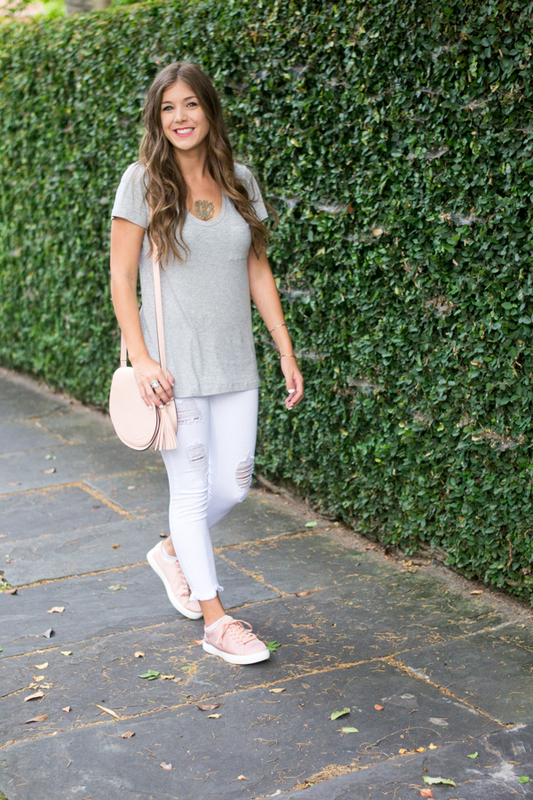 There are so many ways to style blush sneakers.. And of course, I decided to go the more casual route! I chose to make the sneaks the star of the show, so I paired them with a pretty neutral outfit. I love how my grey tee looks with white jeans! The camo shirt adds a little pop to the look as well! I love how you styled these sneakers! Your style is fabulous! I think I need these sneakers! Love the way you added the camo top! Such a fun way to mix things up with the blush sneakers! These are great ideas! I love that grey tee. It looks so comfy! Such a cute outfit! I love those shoes! Those blush sneakers are so cute!! For sure need those pair! Under $35?! Those are such a good find- Love me some blush! Those are so cute! I love that shirt too! love how you paired the camo with it! Loving this neutral look with the blush! Such cute sneakers! Oh my gosh I WANT these sneakers asap!! They are so adorable! I am loving the pale pink with camo combo! So cute! Love camo mixed with grey! And the sneakers are so cute! 1. I love blush-colored EVERYTHING. 2. I love blush colored shoes. 3. I love the simplicity of the outfit which allows the shoes to shine. It looks great! Blush and camo is my favorite combo. This outfit is adorable!